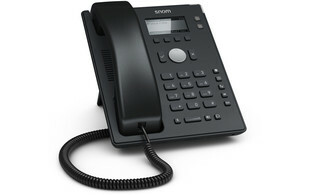 Have you heard about Snom’s new entry-level desk phone? The new D120 is now in stock and available to purchase from ProVu. With a low price point, and opportunity for you to benefit from volume-based pricing, it makes the ideal solution as the entry-level phone for ITSPs and for large installations in areas such as hospitality or healthcare.